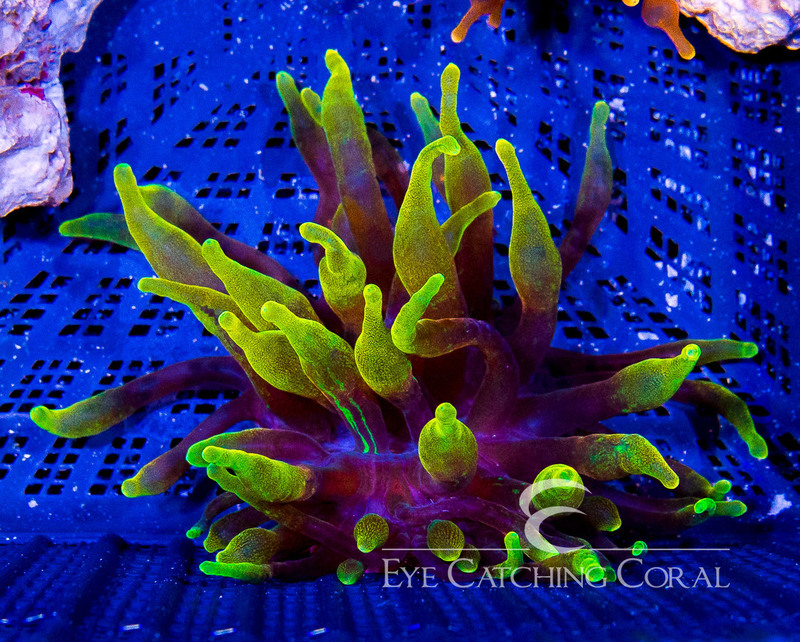 Chicago Sunburst Anemones are a very interesting type of Bubble Tip Anemone. They have 3 different color phases (color patterns) with the 3 color phases being red, yellow, and orange. All 3 start with a blueish oral disc that has white spotting in it. Around the ourside of the oral disc it begins to fade into a bright green that carries up the tentacles until it fades into the color of the phase. 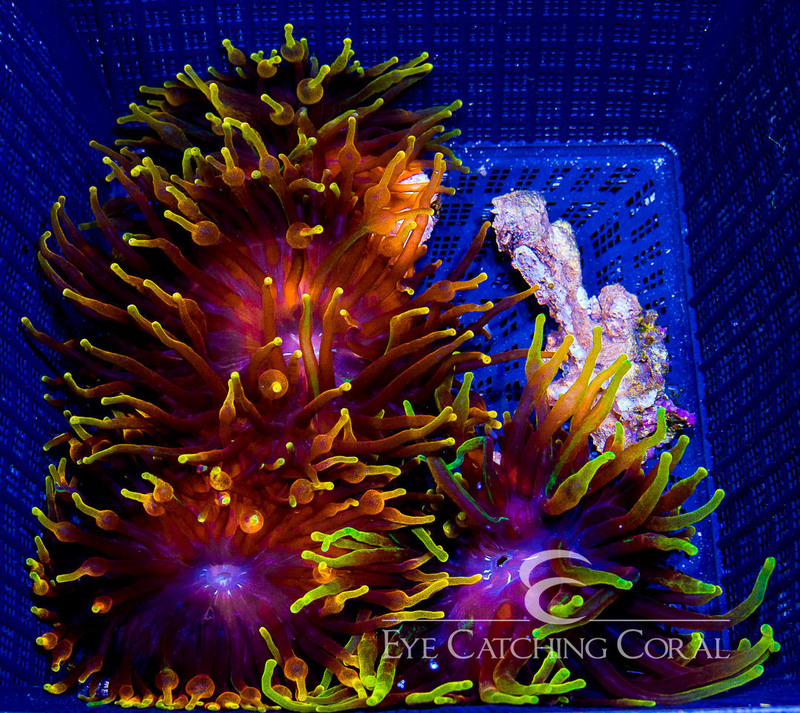 One of the key characteristics of Colorado Sunburst Anemones is the striations in the coloring of the tentacles. 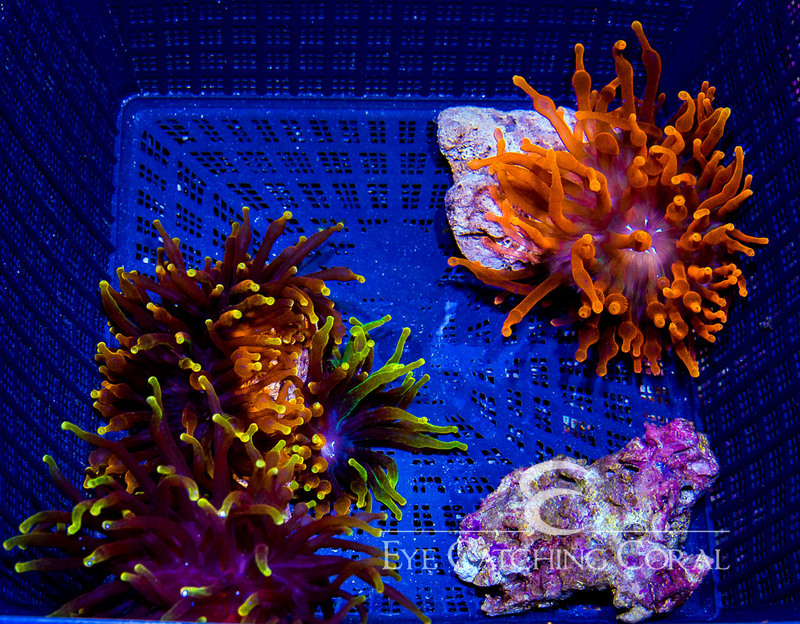 We purchased our original Chicago Sunburst Anemones from Tank It Easy in December of 2018. They have been propigating them in captivity for several years prior to our acquisition.